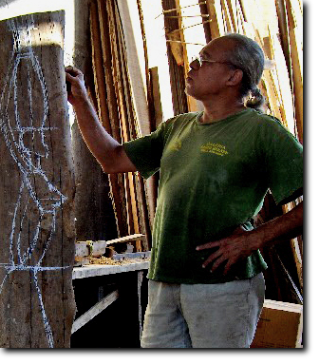 In addition to making sculptures in wood and stone marble, Ulises is also a painter. Ulises attended drawing and painting workshops of the painter Edward Barracks and took courses in painting at the Art School Esempi, the painter Francisco Alvarado Avella. 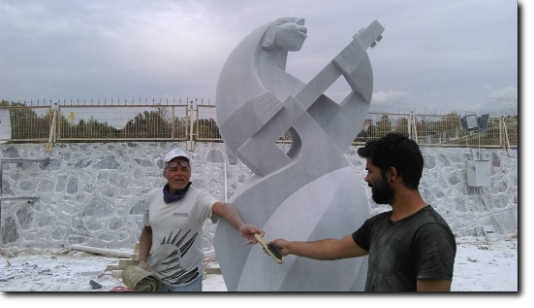 As a sculptor has about 500 sculptures listed and sold around the world, with works in Europe, Latin America, North America, Canada and Asia. Although most of my work is wood sculpture, I have never cut a tree to make it. In Guanacaste, thousands of cubic meters of the finest “trosa” are rotting in the sawmills in the region due to the irresponsibility of the forest authorities of our country. From there is where I get the cocobolo, the Cenízaro, or the guanacaste from which I develop my sculptures. as a child I took up wood carving. I was born on a farm in the Mansion of Nicoya by the year 1953. Toys were very expensive, so I produced my own toys: wagons, oxen, bulls, horses, cars, planes ... all the "stick" items. Due to this and the fact that there was no television, I used to distract people for hours while drawing the whole environment that could catch my eyes. That was how I took up painting! I am delighted to create a work of art. Shy as I am by my nature, all my energy is intended to relieve my feelings and my guanacastequidad in the work itself, representing the life-giving woman and the man who provides work, the artist musician, and life is pleasant. Read about Ulises Jiménez Obregon in A.M. Costa Rica. And in La Nacion, Ancora here. 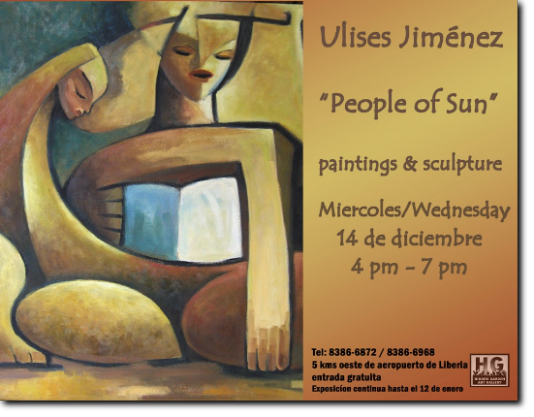 View the slide show from Ulises' opening on December 14 2011 here. He studied drawing and painting with the painter Edward Barracosa and took courses in the Art School ESEMPI, and with the painter Francisco Alvarado Avella. In addition to creating sculptures in wood and stone marble, Ulises is also a painter. As a sculptor he has created over 500 sculptures sold around the world, with works in Europe, Latin America, North America, Canada and Asia. 2010 First Place Sculpture, First International Symposium of Art. "Filling Spaces" held in Tejeda, Gran Canaria, in September. 2010 Second Place by vote of the jury of the III Symposium of Sculpture in the City of Goicoechea, Costa Rica. Third Place by popular vote of the Symposium III of Sculpture in the City of Goicoechea, Costa Rica. 2003 Second Place Painting Competition of the Ministry of Culture Rural Nicoya, Costa Rica. 1997 First Place Painting, Fundation Barceló, San José Costa Rica. 1993 First Place Sculpture by vote of the sculptors, National Sculpture Symposium, Alajuela, Costa Rica. 1992 First Place Sculpture APEC Young. He obtained a diploma in "Honor of Merit” for his participation in the Contest of Fine Arts in sculpture and drawing expertise from the Ministry of Public Education 1969. National Exhibition of Fine Arts of Costa Rican Art Museum. Zentica Art Exhibition in the Old Customs of Costa Rican Art Museum and Embassy of Japan in September 2010. Painting Competition American Costa Rican Cultural Center. Drawing Contest for Social Security Fund. 's first meeting held in the Pacific, Canton Orotina 2006.
International Meeting Point Sculpture Arenas2007. San Ramon Sculpture Meeting 2008. IV International Sculpture Symposium Credomatic, Barva de Heredia in February 2009.for the Second Biennial of Painting and Sculpture of the ICE Group, March 2009.Guadalupe II Symposium 2010. Sculpture Show 2010 organized by the Municipal School of Integrated Arts in Santa Ana, (March-April 2010).First International Symposium of Art, Tejeda (Gran Canaria) Spain "Fill Blanks) from 4 to September 19, 2010. I and II Flamingo Art Fair, in "The Plaza", Flamingo, Guanacaste 2010 and 2011. Fidel Tristan Jade Museum, Temporary Exhibition Hall, 1991. Juan Santamaría Museum exhibition "Black genizaro" 1993 Children's Museum. City of San Jose exhibition "Pampa - Pampa 1996. Enrique Sala Echandi National Museum 1999. Casa de la Cultura de Barva de Heredia 1984. Hotel Barceló San José Palacio, every year since 1994 to date. Hotel Melia Conchal, Guanacaste, Costa Rica, annually from 2004 to 2009. Expo Arte Reserva Conchal, Guanacaste 2008. Ulises Art Gallery, San Jose June 2009. Barcelo San José Palacio Hotel in November 2009. Hotel Cariari, Belen de Heredia in December 2009.
International Art Fair "Embrujarte" 2010 and 2011. 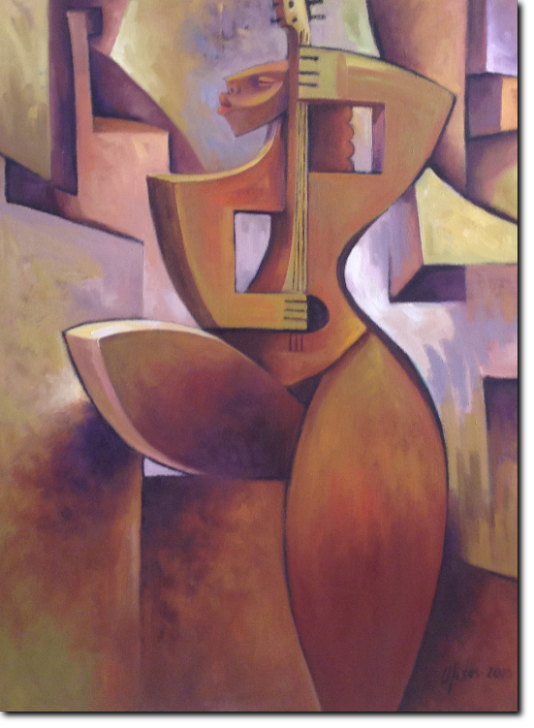 Founding member of the association of artists "Cornizuelo Group, founded in 2007 in Nicoya, Guanacaste, Costa Rica.